This daily-use lip balm provides medicated relief and helps prevent bacterial contamination on your lips. 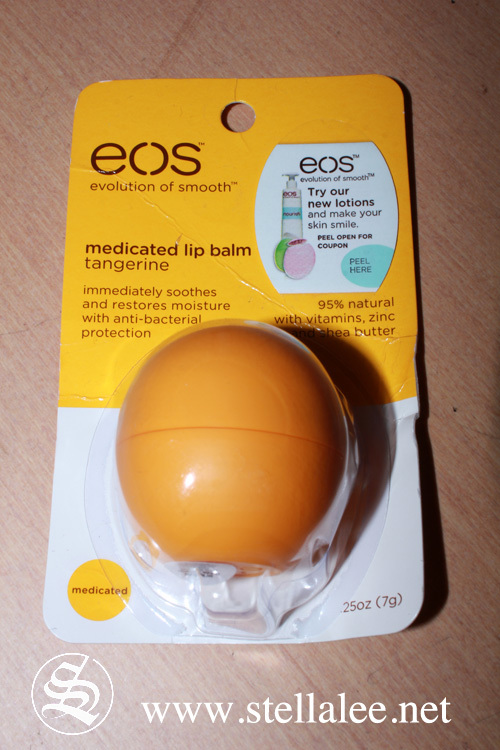 Packed with antioxidants, zinc, vitamins C and E, shea butter and jojoba oil,Â eos Tangerine pampers your smile - and protects it too. 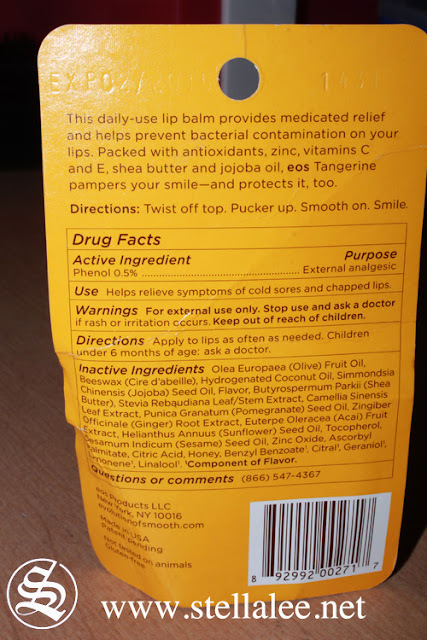 To use it twist off the cap, and apply it all over your lips. I usually apply it 2-3 times at one time to make sure my lips are coated perfectly. 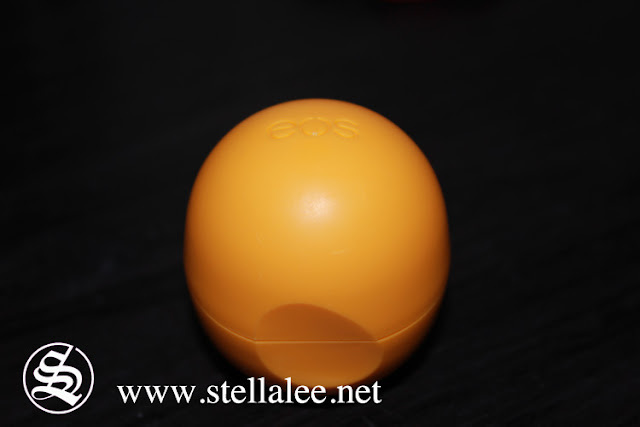 The lip balm goes on smooth on my lips and very easy to apply. It has sweet tangerine taste, but I love summer fruit taste more. Yes, I love it, and If you are a make up junkie, don't tell me you have never tried it. 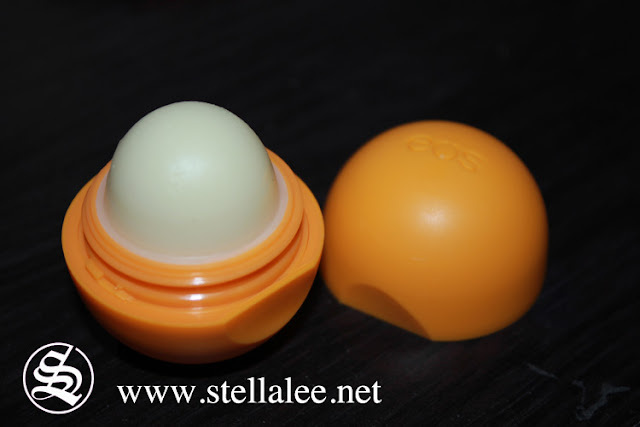 It's one of the most raved lip balms in the world, and I've already said why it's popular. Almost no flaws at all! I will try it if I can get it! thanks for the recommendation!